In the Icelandic fisheries a sustainable and profitable system has been developed, that of individual transferable quotas, ITQs, Professor Hannes H. Gissurarson, RNH Research Director, said at an international conference on the ‘Blue Economy’ — on security at sea and the utilisation of marine resources — held in Gdynia in Poland 22 September 2018. 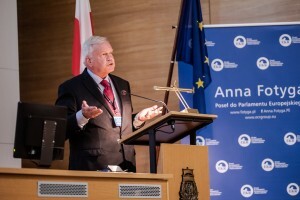 Polish MEP Anna Fotyga, a former Foreign Minister of her country, organised the conference where topics discussed included the concept of the open sea, possibilities and challenges in the Arctic and aggression by the Russians in the Black Sea and by the Chinese in the South China Sea. Other speakers included Mark Gróbarczyk, Polish Minister of Maritime Affairs, Rear Admiral Tomasz Szubrycht, Rear Admiral Nils Wang, former Head of the Royal Danish Navy, James Bergeron, political adviser to Commander, Allied Maritime Command in Northwood, United Kingdom, and Batu Kutelia, former Ambassador of Georgia to the United States. In his talk, Professor Gissurarson emphasised that the Icelandic system of individual transferable quotas had developed without depriving anyone of any significant right: the only right which had been removed was that of harvesting fish at zero profit, as fisheries economists had demonstrated would be the case under open access; and by definition this right was worthless. Therefore initial allocation of quotas on the basis of catch history (often called ‘grandfathering’) was the only politically feasible way of introducing an ITQ system in fisheries. Gissurarson pointed out that Locke had set the proviso on private appropriation from the commons that nobody be worse off by it, and that this was the case with the initial allocation of individual transferable quotas in the Icelandic fisheries. Professor Gissurarson has published two books in English on the fisheries, Overfishing: The Icelandic Solution (2000) and The Icelandic Fisheries: Sustainable and Profitable (2015). He also recently published Green Capitalism: How to Protect the Environment by Defining Private Property Rights (2018). 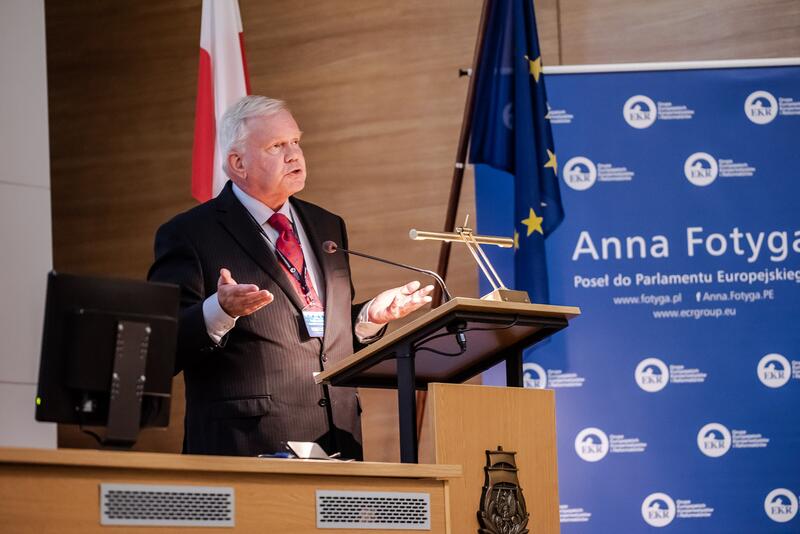 Government ministers, admirals, members of parliament and speakers at the Gdynia conference.